Frank D. Fournier, who was serving 50 years for a 1987 shooting, will leave prison this week because of potentially flawed FBI trial testimony. WISCASSET — After serving 28 years of a 50-year prison term, convicted murderer Frank D. Fournier was resentenced Tuesday and will be released at the end of the week after the FBI’s analysis of evidence used to convict him was revealed to be potentially flawed. 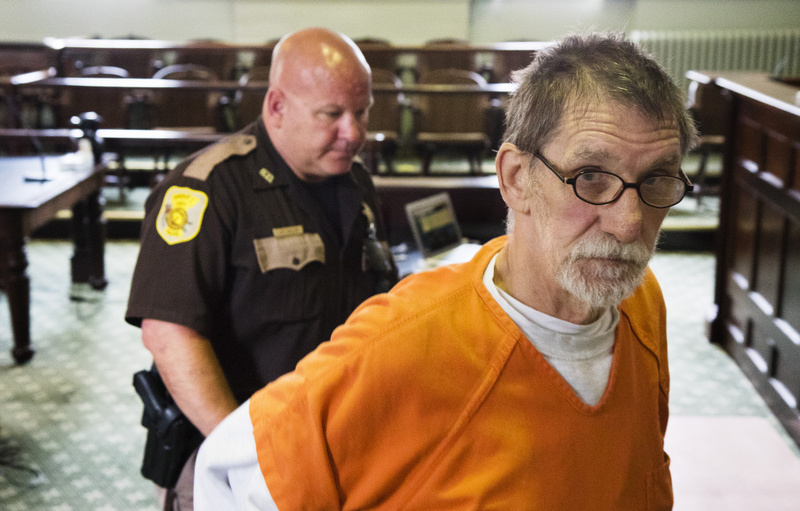 Fournier, now 70, would have been convicted of murder for shooting 20-year-old David Mooers in Portland in 1987 even without the FBI hair analysis that has been called into question, Justice Daniel Billings ruled after a hearing in Lincoln County Superior Court in Wiscasset. But Billings also ruled that the judge who sentenced Fournier on March 11, 1988, had relied in part on the hair evidence in determining how much time Fournier should serve in prison and may have improperly enhanced the sentence. Fournier, who now uses hearing aids and glasses, shared a broad smile with his attorney, Verne Paradie, after Billings’ ruling. He was taken away by a Cumberland County sheriff’s deputy after court adjourned, but his freedom after so many years in prison is only days away. Mooers’ father, Edwin Mooers, said by phone after the court hearing that he doesn’t feel that Fournier deserves to ever be released. Billings made his rulings after a prosecutor, Assistant Attorney General Donald Macomber, reported that the Portland Police Department no longer has the exhibits from Fournier’s trial, so the hair samples could not be retested using modern DNA testing science. Fournier had accrued credit for good behavior at the Maine State Prison in Warren and had already been set to be released early, as soon as April 12, 2018, according to the Maine Department of Corrections. Taking those good behavior calculations into account, Billings resentenced Fournier to 46 years and 11 months so that he would be released before the weekend and have time to make arrangements with his family for a place to live. Fournier was one of five men in Maine whose homicide convictions had been flagged as potentially flawed as a result of a massive investigation that concluded that an FBI forensic lab had overstated hair and fiber evidence used in cases nationwide. Of those five men, only Fournier sought to use the revelation to have his case reopened. Paradie, Fournier’s attorney, filed a two-part motion asking the court to either overturn Fournier’s conviction and grant him a new trial or to resentence him. 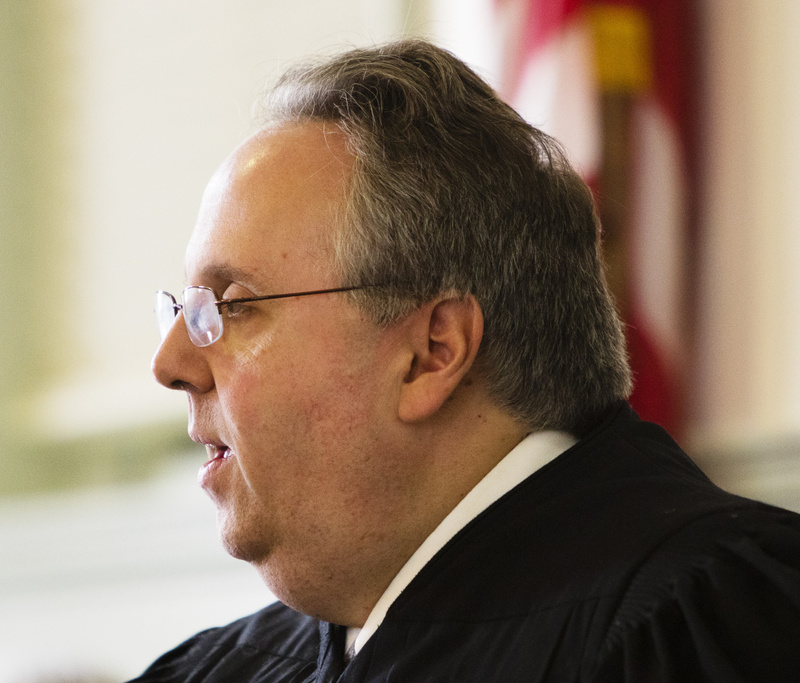 “The sentencing transcript indicates that at the time of sentencing, the judge utilized the hair evidence to give Mr. Fournier a more significant sentence,” Paradie said. Macomber had sent letters to each of the five flagged defendants in Maine in late 2014 and early 2015 to alert them about the flawed FBI analysis of evidence from the 1980s and 1990s. “It’s a shame that it had to come to this,” Macomber said. He said that if the trial exhibits still existed to be retested, the original outcome from the 1988 trial likely would have been unchanged. In Fournier’s case, no one denies that he shot Mooers during a scuffle in Fournier’s apartment on Mabel Street in Portland. But Fournier has maintained from the start that he acted in self-defense and that the gun discharged accidentally when Mooers reached behind him while Fournier was holding a gun against the back of Mooers’ head. Fournier’s attorney at trial, Thomas Connolly, said during an interview last year that hair and blood evidence inside the shattered face of Mooers’ watch showed that Mooers had his hand behind his head at the moment he was shot, and his hand caused the gun in Fournier’s hand to discharge accidentally, as the defendant claimed. On the night of the shooting, Fournier had been drinking at a neighborhood bar when he learned in a telephone call that Mooers was inside his apartment. Fournier ran home, and the two men fought. Connolly said his argument at trial was that the hair evidence in the watch proved that it was against the back of Mooers’ head when it shattered and that Mooers’ action could have caused the gun to discharge and crush the watch in the process. The critical part of the FBI analyst’s testimony was not about Mooers’ hair in the watch, but whether the blood in the watch got there by dripping or splattering, Connolly said. The five cases in Maine represent only a fraction of cases nationally in which 26 of 28 analysts from an elite FBI unit used microscopic analysis alone as the basis for conclusions made in trials in the 1980s and 1990s – before mitochondrial DNA analysis was first routinely used in criminal cases beginning in 2000. The FBI announced those details in a joint statement last year with the Department of Justice and the two independent groups that helped spur the review, the Innocence Project and the National Association of Criminal Defense Attorneys. The FBI inquiry, which began in 2012, focused on roughly 3,000 homicide convictions, including 35 death-row cases, in which analysts from the FBI’s hair and fiber unit may have overstated their certainty that hair samples found at crime scenes were a match. In the death-row cases, nine defendants have been executed and five died of natural causes while their cases were being appealed. The states with capital cases are Arizona, California, Florida, Indiana, Missouri, Ohio, Oklahoma, Pennsylvania, Tennessee and Texas. The FBI and the Department of Justice have since vowed to work with the Innocence Project and the association of defense attorneys to conduct an independent investigation of the FBI’s laboratory practices to see how this happened and to review the old cases. Fournier remains for now at the Cumberland County Jail in Portland. His case was heard in Wiscasset because that is the location of the court where Billings routinely sits, and the post-conviction review had been assigned to Billings.